Replenix Antioxidant Sunscreen Moisturizer SPF 50 is a broad-spectrum, antioxidant-rich, oil-free sunscreen that moisturizes, protects and repairs in one treatment. The slight tint to this cream also works as a makeup primer to mattify, moisturize and protect the skin under your favorite foundation..
For those with normal to dry skin who want a moisturizing, full-spectrum sunscreen that provides antioxidant protection. Inactive Ingredients: Bisabolol, Caffeine, Green Tea, Cetyl Phosphate, Cucumber Fruit Extract, C13-14 Isoparaffin, Dimethicone, Disodium EDTA, Disodium Lauriminodipropionate Tochopheryl Phosphates, Ectoin, Ehtylene Brassylate, Glycerin, Glycerul Stearate, Laureth-7, PEG-12 Dimethicone, PEG-100 Stearate, Phenoxyethanol, Polyacrylamide, Polysorbate-60, Silybum Marianum Fruit Extract, Sodium Hyaluronate, Squlane, Sorbic Acid, Water, Zanthum Gum. This is a more rich and creamy version of the Replenix 50 sunscreen and with a slight tint. It is a little too greasy for a hot summer day. I think I'll wait for winter to use when my skin is drier. if you want a clear, lighter version with all the same benefits, check out the Replenix sunscreen 50 in the bottle. This is my first botanical and antioxidant sunscreen and I like it. This does contain chemical sunscreen in addition to mineral, and thus (unfortunately) stings and travels into my eyes. If you don't intend to use near your eyes you may really like. Feels smooth, moisturizing but non-greasy. Has a nice, golden toned light/med tint that blends in well but will not cover/hide darker flaws. It does have a bit of slip, so I suggest using a powder to set in place. I like the dual purposes of broad spectrum sunscreen and moisturizer in one. More, it is oil-free. It makes a very good makeup base and shorten my makeup time! I use this moisturizer/sunscreen before golf several days a week. I like the dual outcome of moisturizing and protecting. My only complaint is the slight tint, which rubs off and stains my clothing. 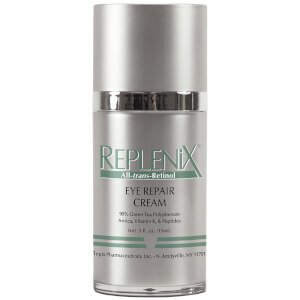 I love most Replenix products, but this one comes off a little too oily looking for my taste. 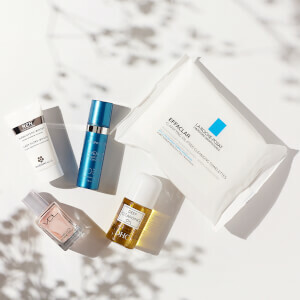 It might be good if your skin is very, very dry and you are in a dry climate. What makes this sunscreen different from all others is that is so light and non greasy. A favorite for me. Good product. A little goes a long way.If you only wear moisturizer, it takes a bit of getting used to. With this product, you don't need moisturizer or makeup, it does it all! Best of all, it does not leave you looking white like wall paper paste. Keep in mind, it is a little bit tinted. It works well on my gold tone, olive complexion. Very nice sunscreen. Lightly tinted. Not greasy.